Happy National Homeownership Month. This month closes out our nation’s three-month long celebrations of the benefits of homeownership and homebuilding to our neighbors, our economy and our community. This month’s celebration focuses on the benefits of housing to our overall economy. According to the most recent reports issued by the National Association of Home Builders (NAHB), building an average single-family home today will generate about 2.97 jobs and $110,957 in taxes per house. Building an average rental apartment home (an apartment, not a complex) will generate an average of 1.13 jobs and $42,383 in taxes while every $100,000 spent on remodeling generates about 0.89 jobs and $29,779 in taxes. These are full-time jobs that will themselves generate additional jobs through what is known as the ‘job multiplier’ effect in which a job created will then generate and support additional jobs. Now consider this: only about half of the jobs created by building homes are actually in construction (which includes construction workers, electricians, plumbers, carpenters and all of the other workers who contribute to preparing the land and building the home). The other half of the jobs created by housing are in housing-related industries that produce building materials and provide services to both home builders and home buyers such as furniture and appliance industries; metals and plastics; architecture and engineering; real estate agents, brokers, finance and insurance; wood products, concrete and gypsum; construction equipment and other products; selling, moving and storing products; and management, administration, government and legal services. 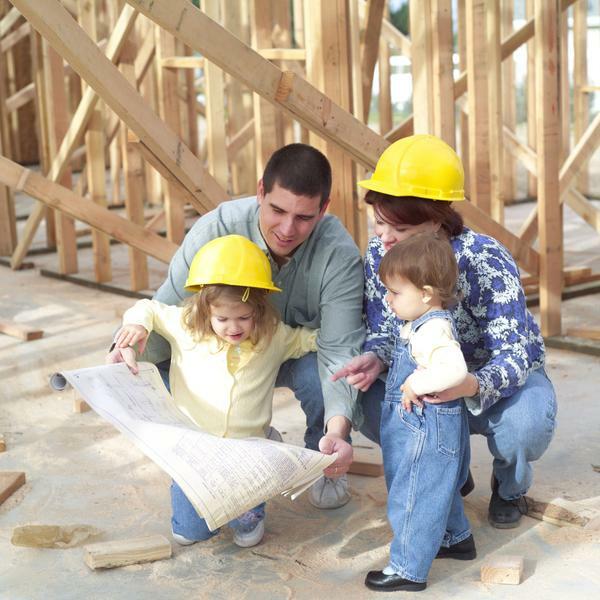 These are just examples of how homebuilding benefits the overall community. Once a home is purchased, the direct benefit for homeowners will include tax benefits, investment advantages of leveraging the value in one’s home and homeownership’s role as the cornerstone of building personal wealth for the vast majority of Americans. In addition, homeownership is the primary source of net worth and an important step in accumulating personal financial assets over the long term. Today, according to NAHB, Americans currently have a total of more than $6 trillion in equity in their homes - and for most families, home equity represents the largest share of their net worth. Today, housing accounts for about 15 percent of the nation’s gross domestic product and those are just some of the positive impacts of homeownership translated into dollars and cents. Yet, the most important benefit of homeownership for homeowners and communities can’t be calculated in just monetary terms. According to The Impact of Homeownership on Child Outcomes issued by the Harvard University Joint Center for Housing Studies, "children of homeowners have better home environments, higher cognitive test scores and fewer behavior problems". The study found that homeownership "leads to a 13 to 23 percent higher quality home environment. The independent impact of homeownership combined with its positive impact on the home environment results in the children of homeowners achieving math scores up to nine percent higher and reading scores up to seven percent higher with reductions in children's behavior problems of up to three percent." No matter how you look at it, homeownership offers benefits that span the community from rearing a new generation of Americans to benefitting the economy at large. This is why we in the home building industry call homeownership ‘the American Dream’ because homeownership is the primary source of net worth and an important step in accumulating personal financial assets over the long term. For most Americans, their home will be the biggest and best investment they will make in their lifetimes. These are just some of the reasons the nation sets aside three months every year to celebrate every aspect of those benefits and why this month is dedicated to National Homeownership Month. For more information on remodeling homebuying or homeownership, visit www.biabuild.com on the web.